Edit, adding more things. 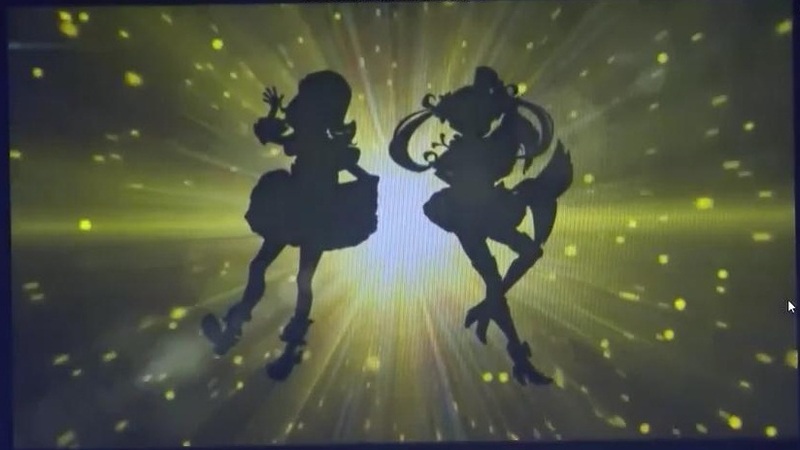 Thanks to an online friend I found and added the mysterious silhouettes they only showed during the announcement at the event but haven’t published elsewhere. Pretty All friend is a “project” announced during the PP live event on Dec 10, and on the PriPara official Twitter. 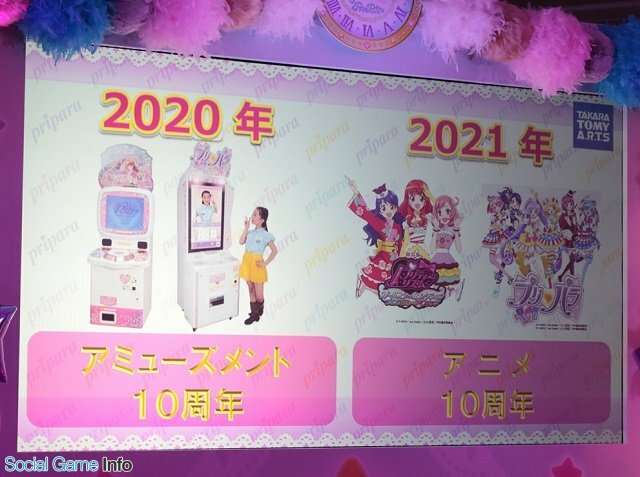 I don’t have anything to add to the ANN post except how when Idol Time PriPara was announced, they already said they would do something for the 10th anniversary of the arcade game in 2020 and the 10th anniversary of the anime in 2021. Director haven’t tweeted anything regarding the announcement besides RTing some people’s reactions. Sound Director haven’t said anything either last time I checked. I haven’t checked every seiyuu and staff yet and will try to ad more reactions later. CG director tweeted basically “Pretty All Friend means anything is possible! !” and “When you have the budget you can do anything!! Let’s do it do it do it do it do it do it” and other similar things about how they have money now, made me laugh a lot. (I don’t watch ITPP yet so I didn’t get it at first, that’s a reference to Muri girl, whose catchphrase changes from murimurimurimurimurimuri to dekirudekirudekirudekirudekirudekiru when she transforms). Asumi Kana/Aira twitted “eh!! what is this! everyone is so cute! !” and also twitted one of the AD DVD she owns and pointed out how the dvd cover illustrations were so nice. Serizawa Yuu wonders if she’ll voice both Mireille and Ann together. Not everyone is actually hyped about PAF, like long time fanartist Akasaka san (one of the first people who did Pretty Rhythm fanart and who still does today along with Emu san) who said she doesn’t feel it too much, though haven’t read all her tweets yet so not sure why. Everything below is speculation, like things pointing out it could be a TV anime etc. Just throwing out ideas of mine and what Prism Yakuzas said on Twitter. We won’t have more info until end of January. CG director recently tweeted they upgraded their motion capture “making one of his dreams finally come true”, so it may be about PAF. Back in October, CG Director and producer Ohba Shin were talking about some new motion capture that would make a dream come true, possibly new mocap for PAF, as I already pointed out in the past they do the motion capture for future performances pretty early. Usually in late December or January, that’s when they announce the new season that will start in April the following year. So this means this would be the new anime starting in April, but it feels weird to stop ITPP now when they bothered to add so many new characters. A lot of fans and myself also think it’s weird they’re announcing something part of the 10th anniversary so soon. If they do an arcade game too, since they always try to be a step ahead from competitors and add a new gimmick, like the print your own photo and become a real idol for pritickets, there should be some new gimmick too for PAF. There’s a Prism Stone on the logo, there wasn’t one on PriPara or Idol Time PriPara’s logos. So it could mean Prism Stones will be back, or something that looks like Prism Stones will be used. The logo’s design, color and font is a mix of Pretty Rhythm and PriPara’s , and there’s Laala’s ribbon on top like with PP logos. They don’t have skates but we don’t know yet if this means there won’t be Prism Shows or not, if they’re “idols” or “Prism Stars” or both or something new. The announcement definitely avoided using these words on purpose to make us wait for more info. I definitly hope there will be Prism Jumps and Acts or even a new thing again. I don’t think it’ll be a movie. They wouldn’t have made a new name if it was just a a movie. 2018 is the date the next Prism Queen Cup should take place in the Rainbow Live universe, though we don’t know if this will take place in a previous or new universe, if the Aira Mia Naru are the Saints or their original versions or some other new parallel versions, etc. If there’s an anime, we don’t know who the director will be. Either Moriwaki or Hishida or someone else. PR Director Hishida is busy with being Fairilu’s director, which should get a third 51 episodes season, so it may not be him. I don’t think he’d accept working on two anime as director at the same time. Plus there’s Kinpri, though I don’t think a new Kinpri thing will get out anytime soon. They recently did the staff only “wrap up party for the successful completion of the Kinpri project” too. (If you aren’t following my Twitter, btw Enoki Azusa said Director told her info about Hiro’s dad, and only him and her know about it, but that this might change someday) The earliest announcement of something new would be at the Prism King Cup Wrap up Party events in Febraury and March. I haven’t seen Kinpri2 yet nor spoiled myself, but Dierctor said before the movie was even out that it wouldn’t explain everything about Shin and Louis, so maybe they’ll do a new thing explaining it one day, but it won’t be now. I don’t mind Moriwaki as director and I actually like PriPara, but I just hope if they do a new thing it’ll be less inconsistent and deciding when to care about the plot or not on the fly. Even if you watch PriPara with your brain turned off sometimes its so bad its irritating. Fans on twitter pointed out the latest PriPara official fanbook (Idol Time PriPara Official Fan Book 2017 SEASON5, released on December 7 2017) lists an 6th upgrade(Time n°6) for the arcade game planned for February 2018, that will add Mia and Garuru, and a 7th update is listed as well(not visible on this photo). That update will go well after April 2018, so the Idol Time PP game isn’t ending soon. Unless they published this without having info on PAF. Moreover, in the same conference where they announced ITPP and teased the anniversary project I mentioned at the beginning, they also said ITPP would continue till 2020, until the anniversary, so there’s a lot of weird points about all this. We don’t know if this is something that will be more like Pretty Rhythm and Kinpri or more like PriPara, or something mixing both. I think the latter would be the best, because that’s basically what Pretty Rhythm was. Mixing PP and the PR/Kinpri atmosphere can work since PR actually already had a lot of dumb things like in PP, except done better. They added male idol characters too since Idol Time PriPara started, and they reintroduced Aira Mia Naru, so the new little girls watching ITPP learn about them, probably for this project, so I think we can expect something good, instead of worrying if this or this character will appear. Lastly, I’ll try to update this post later because I’ve read people mentioning something about 7 characters in total, the five on the key visual plus two mysterious silhouettes being either two new characters or returning characters. Haven’t managed to find more details. Not sure if it’s something they only showed at the live or something. I need to ask other fans like Sakuramochi san about it. Edit: These are the two silhouettes. They must be new characters for PAF. I really hope they’re good characters. Wondering who will voice them too. Will be funny if one of them is voiced by M.A.O. They don’t wear skates either but still hoping for more Prism Shows and tournaments and romance and everything that made Pretty Rhythm such a masterpiece. During the event, there was also a survey asking people which one they like the most between AD, DMF, RL, PPs1, s2, s3, Kinpri 1, Kinpri 2, and ITPP, so its possible they’re still deciding if PAF will be more like PR or more like PP. A lot of fans said to trust the franchise and that they’ll definitely do something good, whatever it’ll be. Some people even think it might be a fighting game because of the name sounding like one. In my case, I hope we get a RPG with all of the Pretty series one day. This entry was posted in Opinions on..., Pretty Rhythm, Pri Para and tagged Pretty All Friends on December 11, 2017 by rockmanshii.